It is of dual-function type can be used as a means of traction as well as drive. It is featured by its simple and compact construction, good reliability, long service life, easy operation, ample output, light weight and good cross-country ability. 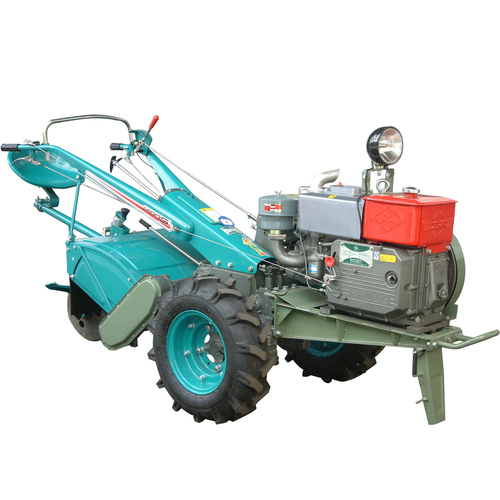 It is suitable for used in paddy fields, dry fields, vegetable gardens and hilly land with a little inclination. It can be used for plough, rototilling and harrowing in paddy fields as well as harvesting, drilling, ditching, transportation and etc.